The picturesque Galle International Cricket Stadium with its new pavilion. The future of Galle International Cricket Stadium as an international venue is in danger. The stadium which is one of Sri Lanka’s luckiest venues faces the prospect of being relocated elsewhere when a initial proposal is presented in December. A special discussion was held regarding the matter at the Ministry of Cultural Affairs yesterday with the participation of Archeological Department, Urban Development Authority and officials of Sri Lanka Cricket and Western Province Cricket Association. The Ministry of Southern Development has stated that the Galle International Stadium has been located near the Galle Dutch Fort which has been declared a world heritage site by UNESCO and that it has been constructed without the approval of a responsible authority. Some were of the view that the final decision on the Galle International Stadium should be taken by the Cabinet. The Galle International Cricket Stadium is currently the property of Sri Lanka Cricket having been leased out to them by the Galle Municipality and since it was devastated by the tsunami in December 2004 it has been renovated. 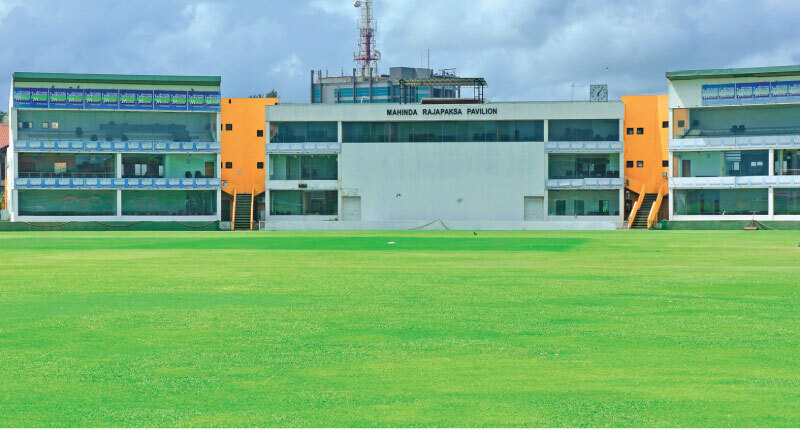 The renovation of the stadium began in May 2006 where new buildings including a new pavilion and media centre were constructed and the pavilion named after former President Mahinda Rajapaksa in December 2007. This pavilion provided seating for up to 500 VIP guests and contained a media centre that can hold 150 media personnel. It is also equipped with two TV control rooms and a radio commentators’ room. The dressing rooms of the two teams are also in this pavilion. From time to time UNESCO has requested Sri Lanka to take action and remove unapproved constructions which have been built within the old Galle Fort and its buffer zone. “We have not heard anything officially from the Cultural Ministry. As the Sports Minister is out of the country a further discussion maybe held after his return before a final decision is taken,” said Sri Lanka Cricket CEO Ashley de Silva. De Silva pointed out that one of the building that was demolished was the indoor nets which was damaged by the tsunami, but no other demolishment has taken place since. Recently the venue came under the radar when allegations surfaced that two Sri Lankans had agreed to tamper with the pitch to alter the outcome of a Test match against England later this year.